Dr. Priscilla Porterfield is the recipient of many awards and fellowships which have taken her for study and performance to the Carmel (CA) Bach Festival, the Tanglewood Music Festival and the Aspen Music Festival. She was a national finalist in the Music Teacher's National Association Collegiate Artist Awards, the winner of the Toledo Opera Young Artists Competition, and has twice been a winner in the District Metropolitan Opera Auditions. Dr. Porterfield has portrayed such varied roles as Dorabella, Ottavia, Meg Page, Hansel, and Baba. She has sung with the Toledo Opera (OH), the Michigan Opera Theatre and the Ohio Light Opera. Her staged repertoire also extends to the lighter vein, having performed comic roles in the operettas of Offenbach and Sullivan. 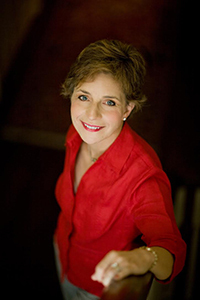 Equally as versatile within the concert repertoire, she sings regularly with chamber music groups and orchestras throughout North Carolina as well as the Midwest. Her recent interest in the Anglo-American ballad and its influence on the Appalachian region resulted in a travel grant to sing a series of recitals in Great Britain. She was invited to sing and lecture at the Elphinstone Institute of the University of Aberdeen in Aberdeen, Scotland. A recipient of the Doctor of Musical Arts degree from the University of Michigan, she currently serves as a member of the voice faculty at Appalachian State University in Boone, North Carolina. The Appalachian Treble Choir has been under the direction of Dr. Porterfield since the spring semester of 1991. Hundreds of women have enjoyed the vitalizing experience of joining their voices in many different styles of choral literature, and performing around campus and throughout North Carolina. The group varies from 50-60 women each semester, and they come to the choir from hometowns across the state and majors across all disciplines. On average, between 15-20 percent of the choir personnel are music majors, and the rest utilize some much needed variety to their daily class load! Our motto is: "Treble Choir . . . when it's time for a break from the ordinary!" Treble Choir is unique in that it is both a class and an Appalachian State club, registered with the Center for Student Involvement and Leadership. For this reason, Treble Choir is a fantastic ensemble to join. Not only do we sing together, but we serve our campus and community while building a musical and social community within our own group. We welcome all members of the University community, and the community at large. Singers may take the class for 0 or 1 credit, and there is no audition. When openings are available, there are also opportunities to audition for Triple Trio, a nine-member ensemble within the Treble Choir. Triple Trio rehearses twice weekly, on Mondays and Tuesdays from 6-7 p.m. and can also be taken for 0 or 1 credit hour. Triple Trio sings mostly a cappella music, and has the opportunity to entertain for a variety of functions throughout the semester, both on and off campus, as well as at the Treble Choir concerts.